You can feel the power in the room. As you carefully step across snow piles of blank shavings, the sweet smell of resin filling your nose, your eyes are pulled to relics past and present — various tattered surf pictures masking-taped to the walls, old ‘60s boards strewn about and hanging from jerry-rigged ropes attached to the ceiling. Turning, you get a slight peek in the glassing room through the back door. Bright colors from the tinted resin bombard you, splashed across the brick wall and bubbling up from the cracking floor. And then you look up and see Jose Barahona. His tanned skin white with foam dust, he takes his mask off and is already smiling, the creases of time and happiness in his face deepening as you move forward to embrace in a handshake or a hug. The room starts to fade out of sight as Barahona captivates you. 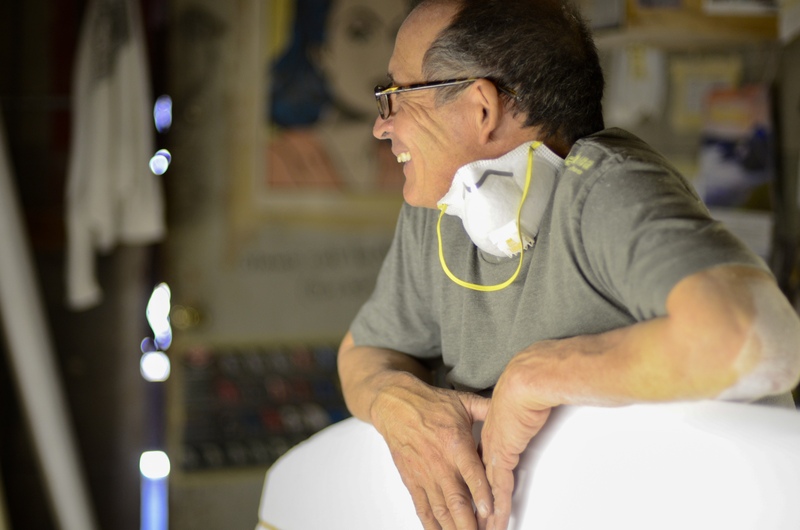 He talks with a soft-spoken confidence, ready to spend as much time as necessary to create a masterpiece, the board you’ve only surfed in your dreams, as he has been doing for hundreds of the South Bay’s best surfers for the past 30 years. Barahona slid into the surf scene in 1981, making his way to the beach from humble beginnings in El Salvador, a country that had just fallen into civil war. 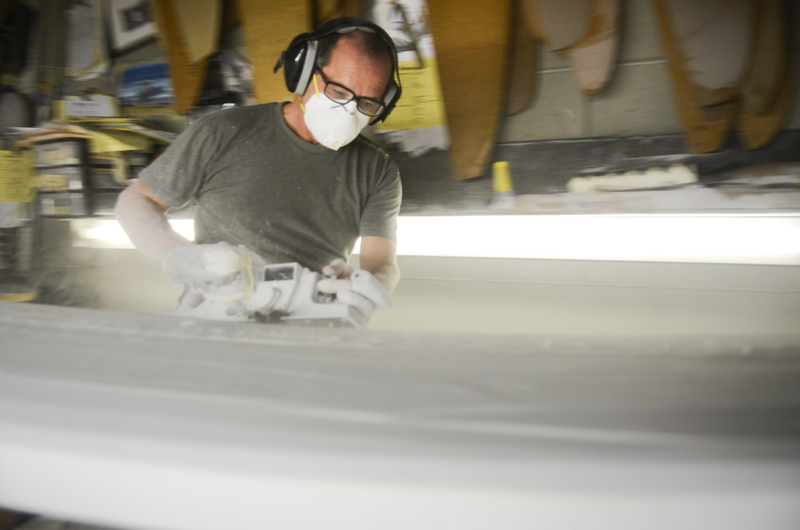 His journey began when he was hired to sweep up foam leftovers of boards churned out by Phil Becker and other historic South Bay shapers, shortly after Becker Surfboards opened its doors in 1979. The gang of three – Dave Hollander, Steve Mangiagli, and Phil Becker — founded the business and took over the space in the tucked away “shaper’s alley” on Cypress Avenue in Hermosa, originally built by Rick Stoner, founder of Rick Surfboards, in the 60’s. Still in high school, Jose would ride his tin can of a bike — lacking any sort of braking mechanism — over 25 miles from 3rd and Vermont in Los Angeles to get to the alley, using only the sole of his worn shoes to scrape across steep hills of asphalt, slowing him and his bike just enough from speeding into oblivion (there were, however, a few bad spills). His dedication and stoke of the surf lair kept him pedaling through the exhausting ride every day. Eventually he had to take a second job, up the street at a food supply company, working graveyard and returning to the shop at dawn, and often spending long hours on Cypress before his night shift started. Barahona moved quickly from sweeping to hand-sanding. As Hollander became overwhelmed with the volume of airbrushing the burgeoning venture was requiring, he decided to show Barahona the delicate art of the airbrush stroke. Soon thereafter he delegated board artwork to Barahona. After six years apprenticing in this manner, Barahona left his second job at the food supply company and set his sights on eventual independence. He started his own ding repair shop directly across the street from the shaping room. Barahona settled into anything to do with surf craft like he was born for it. After years of filling holes and pouring life back into beaten foam and fiberglass, a customer walked into his shop with an unsalvageable longboard broken into two pieces. 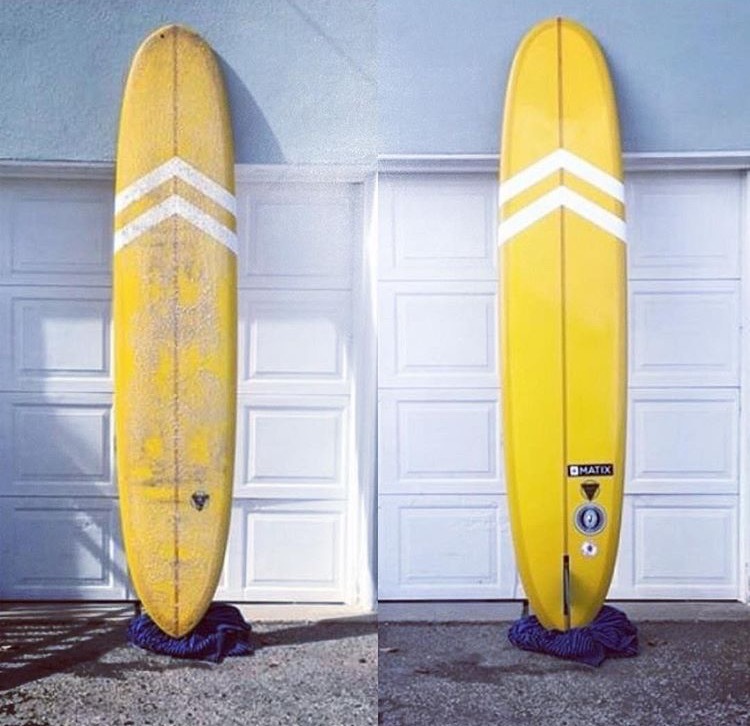 Barahona ditched the smaller half and decided to fiddle with the big one during some downtime, sanding the mangled ends smooth and churning out a like-new mid-length board. He wasn’t meant to just work alongside these legendary shapers. He was going to be one. Within days, Barahona bought a foam blank from Becker, borrowed a planar, and out of a flurry of white dust emerged his first real board. Jeff Stoner, who supplied the planar, brought the finished board to Becker, who offered Barahona a job on the spot. Barahona, who would find extra tasks to linger in the shop for hours, would often pause whatever he was doing to watch Becker create his masterpieces. So sleeplessness ensued that night, knowing he was meeting the next morning to make a board together with Becker. At 9:30 a.m., a blank was put in front of Barahona, and a foam-slicing planar in put his hand — he’d used one the very first time the previous day. Away he cut. The finished product, the third surfboard Barahona ever made, was immediately sent off to the Becker shop at 301 Pier Avenue to be sold on the shop’s racks. With Becker assisting and his mentor, world-renowned board builder Hap Jacobs, grooming him for success, Barahona sank into shaping with ease. 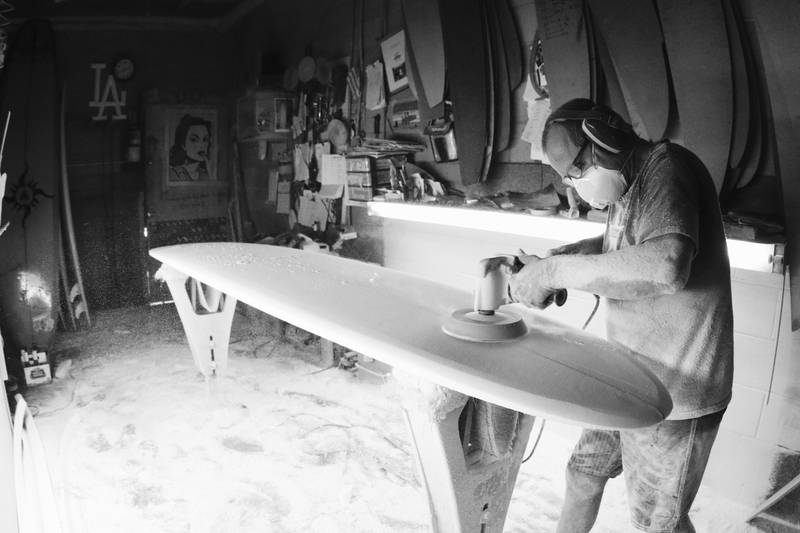 When Phil Becker retired in 2006, the sweeper, then sander, then airbrusher, then ding repair specialist was given Becker’s iconic shaping room to work from — the same dusty old room where Becker reportedly churned out the most surfboards in the world ever made by one person. “He picked everything up so quickly. You have guys trying to learn for years what Jose managed to get almost immediately,” said Jacobs, who worked with Barahona from the start. With his humble persona, the man whose surfboards, lifestyle, and work ethic mirrors Becker’s so closely — with the exception of not eating tuna sandwiches every day, a famous tic of Becker’s — rarely promotes himself. He relies solely on word of mouth to bring footsteps down shaper’s alley. 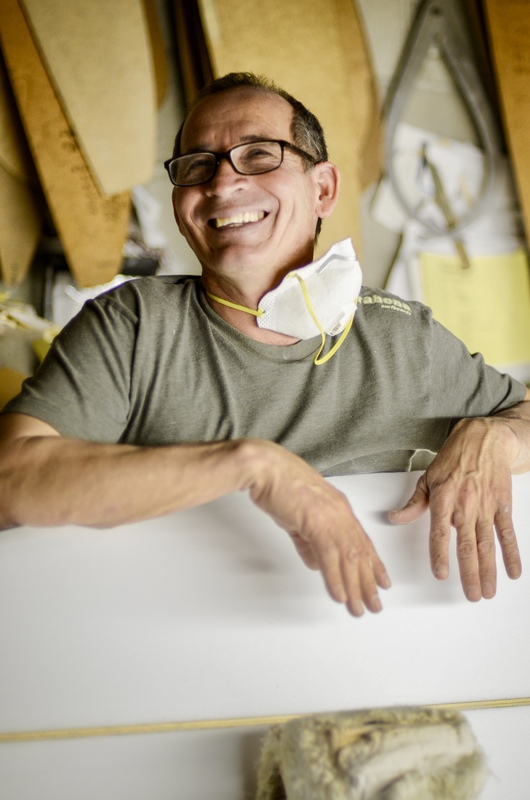 John Leninger, longtime manager of Becker Surfboards and personal friend of Phil Becker, witnessed the progression of Barahona’s work through the years. 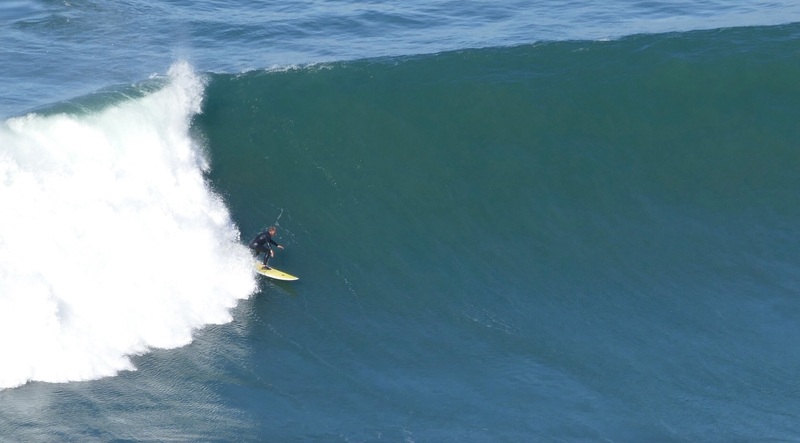 “He’s the best shaper that no one’s ever heard of, and the most versatile shaper in the South Bay,” said big wave surfer Jeff Phillips, who orders multiple boards from Jose every year. Recognition of Barahona’s work has slowly come. He won the 2015 Best of the Beach award for best underground shaper. Yet it takes a few beers to get him to tell you that he has shaped a board for a few Surfers Hall of Fame inductees, including one of the most world’s most distinguished watermen, Laird Hamilton, and Lance Carson, the stylish hotdogger featured in Bruce Brown’s iconic surf flick “The Endless Summer.” His nephew, Jimmy Barahona, who is an architect by day and board glasser by night, estimated that Jose has pulled enough tape off the roll circle the world twice. There is a good chance he will surpass Becker in amount of boards shaped. But it’s more than the magic in his craftsmanship that keep people coming back into that room. Those who find their way to Barahona tend to fall under the spell of his genuine kindness. 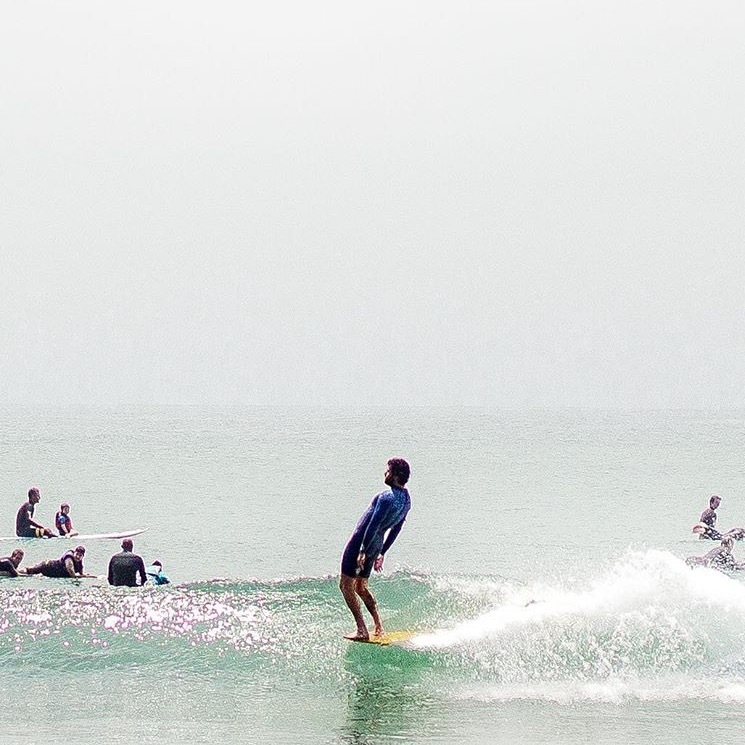 They are amazed at the intricacy and details of the questions he asks, all in the service of figuring out the best way to make them the surfboard they need. Frank Paine, an assistant surf coach at Redondo Union High School and a longtime friend and customer of Barahona, marvels at the shaper’s “unconventional” process. It was tough to get him to pick a favorite, but Barahona eventually caved and said he would lean toward traditional longboards — specifically single-fin logs (longboards with heavy glass similar to boards made in the 1960s). Being so versatile, his customer base ranges widely, but the most ordered tend to be mid-lengths; vessels good for varying types of wave heights or conditions. He and many other shapers across the coast have suffered somewhat the loss of business to many beginning and even intermediate surfers with the influx of the infamous wavestorms, defaulting to a generic, cheap product rather than something fine-tuned to them and their level of surfing. But committed surfers find Barahona, or one of his hand-crafting bretheren. In that room, the Barahona spirit is alive in every inch of the walls and every shred of foam dust, freshly cut with that same old planar. There is a purity not just in his craftsmanship but in his very being that leaves an impression on anyone he comes into contact with. Years after they’ve left his lair in shaper’s alley, after countless waves surfed atop a board made not just by Barahona, but with him — the bond between each surfer and this quiet, industrious surf sensei persists.